The paper seeks reexamination of the received critical heritage about Wittgenstein that treats him as a positivist or unquestionably derives inspiration for positivism from him or sees him as a philosopher of language instead of the translinguistic unrepresentable transcendence. It also questions the influential reading of Wittgenstein scholars who argue that he supports only foundationless view of religion and language game is best metaphor for characterizing his religious views. I argue for the centrality of the mystical or transcendence in understanding the whole corpus of Wittgenstein, especially the Tractatus and his ethics. Questioning the approach that writes off a few scattered mystical utterances here and there in Wittgenstein the paper, building on Russell Neili’s arguments, argues for shift in the paradigm of approaching Wittgenstein by keeping subservient the “positivist” in him and foreground the broader head of mystic in him. A proper understanding of mysticism is all that we need to have in order to appreciate the mystic Wittgenstein’s transcendence of logic and language in both life and thought and foreground him as a philosopher of transcendence and not merely a philosopher of language. Mysticism is the key to Wittgenstein though most Wittgenstein scholars have failed to put in proper perspective the primacy of the mystical and ignored this vital element that alone explains certain ambiguities and difficulties in traditional Wittgenstein exegeses. Far from being antimetaphysical positivist Wittgenstein is to be read as a mystic in the tradition of great mystical thinkers and can be compared with Simone Weil and other significant mystical thinkers of the recent past. His dialectic of transcendence has significant resemblances with transtheistic mystical philosophies such as that of Buddhism and Taoism. Arguing for continuity of his religious views from Tractatus onwards, the paper seeks to rectify problems resulting from emphasizing later Wittgenstein for deriving a philosophy of religion that has been perpetuating noncognitivist, fideist interpretations of him while failing to properly place ethical and aesthetic in his fundamentally mystical approach to religion and culture. Wittgenstein’s philosophical reflections are in large part, however indirectly, readings between the lines of the story of the soul in the Western metaphysical tradition. I am not a religious man but I cannot help seeing every problem from a religious point of view. My thoughts are one hundred percent Hebraic. What do linguistic representations aim at? Mirroring reality? Or they constitute an autonomous play that gives us no insights into the most important foundation for culture? The dream or motivation has often been access to reality however imperfect that may be. Strangely there now seems to be increasing consensus over the thesis that language and reality are two different things and the latter is either opaque for the former or far too rich a thing to be captured in the net of the former. From Nagarjuna to Wittgenstein and Derrida many thinkers have denied language and thought access to reality. The question is what do mystics say about this problem? Could the path ahead for philosophers dealing with linguistic representations be opening for a cross disciplinary study with mystical philosophers or philosophers of mysticism? My contention in this paper is that it should be so. Particularly focusing on Wittgenstein it is argued that the royal road to reality is not through language and thought but modes of perception that bypass them. The most important point is that what matters at the end of the day is ethics and answer to fundamental existential questions, the problems that Culture and Value embodies and for these questions we need to explore other languages than the one ordinarily known. This language is the language of the Self. Wittgenstein fundamentally preoccupied himself with this problem though this concern has been largely sidelined by Wittgenstein scholars and those working on philosophy of language. The present paper pleads for a dialogue with this ignored Wittgenstein to contemplate the possibility for breaking fresh ground in tackling the nagging problems in the debate on language and reality. There is hardly any difference in early and late Wittgenstein’s on the question of the mystical and the ethical. He remained Tractarian till the end in his mystical viewpoint. He did abandon parts of the Tractatus later but there was no evolution – and in fact could not by the very logic of mystical experience that converts its subjects for good. The mystics solve – for themselves at least – all important problems – intellectual and existential. In fact experiencing God dissolves all problems. For logical positivists what mattered most was what is in Tractatus but for Wittgenstein himself what mattered most was what was not in there, the unsaid part. That was not in the Tractatus because language could not handle that. That something is neither linguistic nor representable in any other way. However that shows itself and thus need not be spoken of or represented. Wittgenstein’s most decisive move was thus away from linguistic representations and the most important job for the philosopher was to delimit what can be represented and thus related to what only shows itself. Ethics and aesthetics and the mystical all belong to this second category. Man does not live by bread of facts (science, instrumental rationality) alone but needs supernatural manna embodied in ethical/aesthetical/mystical. It is ironic that what mattered most to him has not been given due attention by his successors. All his endeavor was to save the intelligence from the bewitchment of language. He was all for transcendence so that man becomes himself and lives truly, joyfully. In his search for happy life, life lived sub species aeternatatis he paid great attention to working of language, how language fails to represent reality and leads us astray by creating problems that are not there. It is how men lived that interested him rather than their speculative exercises. This alone solves the riddles of life. Language has no answers and answers can only be found when we step outside language. As Wittgenstein was more interested in what cannot be linguistically represented his conclusions are radical. The most important things can’t be talked about. Ethics, religion and aesthetics are transcendental. The very fact that things exist is mystical or linguistically and conceptually unrepresentable. We can only gaze at it and get lost in wonder. We can dissolve into this primordial mystery, love and celebrate it. Wittgenstein lived almost like a saint. He is the most mystical of the greatest philosophers of the modern Western history. He tried to show exit to philosophy. He found no problems once we let intelligence operate naturally and it shatters linguistic cobwebs. He fought against pervasive bewitchment of intelligence by language. However he also realized all pervasiveness of language and how it constructs the world for us. It hardly needs to be argued that we have nothing but linguistic representations even when we seek to talk about transcendence. Man, as has been observed in the classical ages, is a speaking animal. Language is a house of Being. In language the divine and the human meet. Prophets and saints too have spoken. Even the Buddha, the Prophet of silence, spoke even if it is about the impossibility of speech in matters transcendental. Man is condemned to speak and even speak to God and receive the speech of God in turn as scriptures narrate. Scriptures are all filled with linguistic representations of that which though ideally resists getting represented nevertheless is largely accessible though not quite adequately through language. Masses don’t know silence and even saints can’t afford it for too long. Man lives in dialogue, I and Thou dialogue. The absolute stillness is superhuman and for most humans synonymous with death. It is not given for man to conceptually know Truth or represent the divine. But nevertheless he has no other window to higher worlds. Language though imperfect is normally indispensable for humans. Later Wittgenstein is all about appreciating how divine suffuses and expresses in religious language, how ordinary use of language is steeped in transcendental world. We must not confuse two senses of the term transcendental in Witttgenstein. Logic too is transcendental and we can only show rather than speak about/represent the correspondence between two pictures. To ‘say’ the correspondence between language and reality would require an intermediate language which in turn will require the same ad infinitum., but then that language would also require the same. This kind of transcendence has logical or intellectual function only and did interest Wittgenstein but what mattered for him both personally and as a philosopher is transcendence in ethical/aesthetic/mystical experiences, in the primordial encounter with the world and finding that things exist. The present paper is about this transcendence. As there can be no propositions about what is not in the world or is transcendental we shall have to focus more on life and experiences of the transcendent than on analysis of some theses regarding language or language games to make our point. Wittgenstein’s protests against being misunderstood notwithstanding, a great industry propounding a version of him he would strongly resent, has been flourishing. What he considered more important has been relegated to background. There is great agreement between scholars on almost everything except that mattered most to him. His motive for doing philosophy and living philosophy have been absent amongst his admirers, not to speak of detractors. His life has not been taken seriously as an aid in clarifying his basic theses and commitments. He has been read as philosopher of language though for him transcendence is more central for culture and value realization. The mystical in Wittgenstein has not been duly noticed and if noticed not quite well understood. His religious thought has been misunderstood and not read in continuation with his fundamentally mystical outlook. All kinds of theories have been put forward for accounting for his scattered mystical statements and observations on religion. The mystical is central for Wittgenstein and his philosophy and he has stated it in his Tractatus, Notebooks,“Lecture on Ethics” and in fact most of his writings develop this theme in novel ways, in so subtle a manner that few can notice. His attitude towards religion, often understood in connection with the thesis of language game, is to be put in proper context by foregrounding the empirical mystical foundation that he gives to religion. Wittgenstein scholars have not generally succeeded in integrating his mysticism with his view of religion, culture and aesthetics. Mysticism is in the background of many a theses of later Wittgenstein as well and not just the Tractatus. Even Philosophical Investigations’ central arguments that foreground illusoriness of the self, critique mentalistic picture of the soul, dissolve subject object duality and plunge headlong into the world which is all there us, alert us of dangers in asserting or making propositions on anything that transcends language. Wittgenstein deserves a comparison with great mystical thinkers. If we understand that God is what is and is missed when we attempt to think or imagine or make images of Him or attempt to comprehend the Mystery we can understand Wittgenstein. According to mysticism God is the case. The only thing is we don’t see. We verbalize and babble and create theologies and metaphysics. Wittgenstein is a metaphysician in the same way Buddha is or Krishnamurti is. God is above speech. The Absolute has never been defiled by speech. But by metaphysics is here meant living or breathing the noumenal world, dissolving into it and not speculating about it with conceptual schemes. Metaphysics as the knowledge of the supraphenomenal reality is the soul of all traditional cultures or “epistemologies.” Man is made for the Absolute, to die in It and thus to eternally live. Certainty is the requirement of intelligence and man is not absurdity. If man fails to access the most certain, the indubitable, the absolutely safe in Wittgenstein’s terms, he has failed as a man. God is the greatest certainty – the greatest and most palpable of the present facts in Whitehead’s words –and a philosophy or epistemology that doesn’t account for this does not deserve to be called a philosophy. It is failure and betrayal of philosophy and of man and his intelligence if the real is not knowable though of course not conceptually knowable. Modern philosophy that is largely ignorant of God can’t qualify as a genuine philosophy, as Indians or great traditional philosophers from other traditions understood philosophy as darsana, as seeing or vision. Wittgenstein had mystic experiences of both the ecstatic and nature-mystical kind. Seeing creation as wondrous is what Einstein correctly defined as religious or mystical attitude. God is attention without distraction as Simone Weil would say. He is the Mystery at the heart of everything. For Wittgenstein God is approached in all these ways and doubting our experience of wonder, of mystery, of eternity, of the ethical or unconditional goodness or his urge for it is absurd. Indeed God is the case and only the fools say in their hearts there is no God. Nasr has remarked that if it were possible to teach (traditional) metaphysics to everyone there would be no atheists around. Modern man has failed to understand what traditions meant by God. God is Reality for traditions and it is absurd to ask is there a reality. Only mystics can, however, say this so genuinely and Wittgenstein is a mystics. As ethics or aesthetics is transcendental and yet quite human and real concerns and constitute the grounds of all that we value most so is religion understood as living/talking God (to be distinguished from talking about God or mere propsitional belief statement) so characteristic of human endowment that it is absurd to question it. In fact, as the Quran says, no question or doubt can be entertained regarding God. God is love, superabundant joy, beauty that kills, sweetness of every sweat thing, green in the leaves and red in the golden rays and mystery that surrounds us. This is not pantheism which is a heresy for traditions but our experience of God out of the world, so to speak, -and of course we also need to note that samsara is nirvana and this very garden is the Garden of Eden for the seeing or who know. Debating about God is height of folly like debating about pleasures of love by enunchs. Against this folly Wittgenstein asserted what normal men have always taken to be the case that God is reality or Reality and only saints truly live life. Wittgenstein was a saint though not of the order of great Western saints like Eckhart. Saints don’t talk about God but talk God, live God, breathe God and share the great joy that God is with lesser mortals. The real question for traditional philosophies is how we become Godlike (theosis) or prepare for death in life (which is the same thing or means for it) or live and move and have our being in God. All else is vanity. Wittgenstein stood for this primordial heritage of man and that is why was misunderstood by most of his friends and foes like. Needless to remark that he didn’t consider Western civilization that refused to fully countenance the reality of the sacred as something of a monstrosity and like Gandhi a laughable “interesting” idea He complained of Russell, the paragon of modern rationality or philosophy – to have fatally misunderstood him. In fact what he considered most important has been dismissed by many a modern thinker as folly. God (understood mystically or more precisely metaphysically) is the meaning of life for all religions including transtheistic one as for Wittgenstein. I wish to argue the point that Wittgenstein is to be read alongside great traditional philosophers that saw the Good above everything, had little use for fashionable pursuits of today, considered ethics as first philosophy and metaphysical discoveries as fruits or realizations of real ethical life, were centred on God rather than man and saw quintessentially human in living up to the divine image in him, in transcending himself. There is nothing new or original in Wittgenstein’s mysticism as in fact there can’t be anything new in matters transcendental. One can refer to many mystics while explicating central statements of him. So far we have read – with few exceptions– Wittgenstein as a philosopher or failed to appreciate how mysticism informs/grounds his philosophy. Wittgenstein is not only a philosopher of mysticism but a mystic, a practical mystic of great standing. All his work was dedicated to the “glory of God” as he once said to his friend Dury (Rhees, 1984: 168) – an expression quite unexpected from modern profane philosophers. He didn’t like philosophizing as a speculative/analytical exercise, as an academic pursuit as is the case now in modern academies or universities but something that Plato would appreciate or other ancient traditional philosophers would prescribe as a way of life and nothing short of preparation of death. That he wanted his legacy to c of changed attitude towards ethics is hardly surprising. “I am by no means sure that I should prefer a continuation of my work by others to a change in the way people live which would make all those questions superfluous.”(Wittgenstein, CV: 61). Philosophy, as pursued by his contemporaries or today, is a disease of modern form of life that needs cure. And that cure is ultimately provided by seeing the futility of the game called philosophy. For ancients it was ethics and a vision and had little to do with language or concepts. It was, most probably, his deep conviction borne from experience regarding sacrality of the world and thus the truth of the supernatural/eternal that made him loath modern civilization that had banished the sacred. It is in light of mysticism that we can understand his unconventional attitude towards secular carriers or vocations, his renunciation of his property, his austerity in life and manners, his casual attitude towards dress, his independence in thought and action, his nostalgia for peasant life in Russia, his alienation from his times that he characterized as dark ages and many puzzles in his biography. His view of philosophy’s aim, his attempt at transcending it for getting the vision of the things as they really are, his rejection of the claims of conceptual analysis or linguistic analysis as explaining reality, his rejection of classical dualisms that have bedeviled Cartesian and post-Cartesian thought, his plea for convergence of the ethical and the aesthetic, his view that ethics is transcendental, his rejection of doing science and mathematics as the ideals of philosophizing endeavor, his critique of psychologism and rationalistic attempts at building a metaphysics and our addiction to use metaphysical notions in ordinary discourse at rational plane are all threads in the fabric of mystical tapestry that has so subtly woven. He rejected theological representations as many others before have done but he never rejected the symbolizandum. He said there is no theoretical content in religious doctrines. This is, in a way, easily understandable. God is not a thing, an entity, a being among other being or existence. “God is not” as Eckhart would put it. God is Nothing as Buddhism would put it. God is all that there is as Sufism and Taoist mysticism see it. Samsara and nirvana are really one. There can be no doubt about the mystical in Wittgenstein. Amongst the most loved books of him are included William James’s Varieties of Religious Experience and Tolstoy’s The Gospel in Brief, Augustine’s Confessions, Dostoevsky’s Brothers Karamazov in which Father Zossima figures, and writings of George Fox and Plato. He claimed that Vienna circle people didn’t understand Tractatus and that few will understand it and in fact his learned commentators still mostly miss its kernel, its last pages and especially the closing proposition. His only public lecture is through and through a mystical piece. His only published book during his life time is an attempt to delineate the sacred realm and prevent its debasement by speculative metaphysics and exoteric theology. His notebooks are marked by the mystical passion. His Culture and Value criticizes modern Western civilization on precisely religious-mystical grounds. His Philosophical Grammar, Blue Book and Philosophical Investigations have mysticism in the background and in fact pave way for it. The most important questions of life that science or logical positivism or any reductionist philosophy miss need, according to him, to be treated mystically. His respect for religion as a form of life – though this belongs to the exoteric part of his work – and his refusal to take cudgels on behalf of theologians are explainable through the thesis of the mystical that he values above everything. If we don’t comprehend such typical mystical statements as “Samsara and nirvana are one,” “God is what is,” “ I see nothing but God everywhere,” “God is the Hidden and the Manifest” “ God is our ultimate concern,” “Eternity is the present moment,” “Don’t prat about God; God is not,” “God is neither good nor true,” “God is the sweetness of all sweat things,” “ God is Beauty and Truth,” “ God is the real Doer,” “It is God that sees and listens rather than we,” “God is the knownest of the Known,” “No doubt can be entertained regarding God,” “God is the Light of the World,” “God is the Totality, the Whole,” “God is the most immediate of the present facts and unattainable quest” we can’t comprehend mysticism of Wittgenstein. He saw everything from mystical (what he wrongly called religious) point of view. His metaphysics of experience is built on the foundations provided by mystical attitude towards life and the world. The central doctrines and conceptions of religion or theology are understood in light of mystical interpretation that informs Wittgenstein. The problem with most of the works done on this theme is that they have not been done by the students of mysticism but philosophy and that too a very hostile antimetaphysicalantimystical philosophy. How deeply ironic it is that Wittgenstein would be understood as supporter of the manifesto of logical positivism that banished as nonsense everything which concerned Wittgenstein the most. Science for Wittgenstein has not and could not even touch the problem of life, the problem of meaning, the problem of transcendence. His critique of psychologism meant saying good bye to one of the most fashionable reductionist approaches to spiritual reality. His denial of self was negation of everything for which secular humanism and modern individualism stands. His characterization of scientific-technological civilization as dark ages places him squarely with other great religious critics of Enlightenment thought. For him modern positivist civilization lacked culture and therefore was cursed. He lamented that Russell, Carnap and many others who were so close to him didn’t really understand him and those who claimed to be his followers didn’t make spiritual endeavour share the spiritual vacation that moved him. He was every inch a mystic and no doubt should be entertained regarding this. Both Russell and Carnap accused him of mysticism and in fact none of the Wittgenstein scholars or biographers has denied the element of mystical in him but none has been able to see how mysticism is the key to his whole thought not excluding the latter Wittgenstein. Logic is a tool for paving the way to the supralogical or transcendental. In fact mystical is the case for him and needs no arguments. The unrepresentable shows forth. It is there to be contemplated, breathed and enjoyed. God is everywhere and nowhere. Man is not. He lives and moves and has his being in God. My purpose here is to make some general remarks on the centrality of the mystical in Wittgenstein and thus help to put in perspective the critical writings on his religion besides clarifying why it should matter in any discussion of him. I shall particularly focus on his Notebooks (1914-16) to argue my case though I shall not ignore the Tractatus which has been much though still inadequately and often not quite rightly commented upon from this perspective. Amongst those who have sympathetically written on his mysticism Russell Neili should count as the most important and balanced. Atkinson reads him as a pantheist as if Wittgenstein had not placed transcendence outside the world in so clear terms. Malcolm and some other critics who have written on his view of religion as a language game have missed the mystical core of his religiosity – his metaphysics of experience – to recall Pradhan’s title of his very useful book – I believe it is Indians who can better comment on Wittgenstein because the metaphysics that he affirms – metaphysics as suprarational intuitive or intellectual instead of speculative rational affair – belongs to India especially. (Indians have no difficulty in understanding Buddha as a mystic and Buddhism as a great metaphysic even if Buddha refused to answer 14 metaphysical questions). Brian McGuiness has made a useful small study and there are valuable insights in Kerr’s Theology after Wittgenstein. Mark Lazenby in The Early Wittgenstein on Religion pays attention to the mystical in him and rightly points out that McGuinness’s view that Wittgenstein is a nature mystic in the Tractatus is not correct and instead argues that he is actually a theistic mystic. He notes that there are two worlds in Tractatus, namely the factual and the spiritual and points out that realizing this is in order to understand how there can be value inside the world. Lazenby develops this position by arguing that the factual world is the everyday one which logic characterizes and that value lies outside this world. The mystic looks back upon this world after transcending it and once it has been transcended there is nothing to say and hence silence ensues. Engleman, Dury and other acquaintances of Wittgenstein have also pointed out the profundity of his mystical outlook. In fact logical positivist camp soon discovered that he is not amongst them. Wittgenstein’s differences with Russell and positivist friends are largely attributable to his mystical-ethical convictions. Many papers have been written to argue the point that Wittgenstein had mystical convictions but very few studies have been able to convincingly link his life and work and interpret him consistently on mystical lines. He has been approached more from theological/religious than from mystic-metaphysical viewpoint. The present paper seeks to fill the gap. K.C Pandey’s edited collection Perspectives on the Unsayable shows a glimpse of confusion on Wittgenstein’s fundamental contributions to the debate on religion or transcendence. There are disagreements over the nature of his religiosity, cognitive status of religious claims, central metaphysical notions such as the self in relation to God, the meaning of the unsayable etc. Wittgenstein has been approached as a philosopher and not as a mystic and this contributes to confusions. So far few scholars specializing in mysticism have written on Wittgenstein and this has complicated problems. Wittgenstein is a mystic and a metaphysician of a different order – he does metaphysics as many traditional philosopher-sages have been doing it. It is nonrational route for doing metaphysics that he takes. I think the best guide to understanding traditional non-rational metaphysics is the trinity of perennialistmetaphyiscians Rene Guenon, AnandaCoomaraswamy and FrithjofSchuon. For Wittgenstein – to refute his postmodernist appropriations that argue he is a prisoner of language and textuality – what can’t be said is the case. The world is not explained by science or philosophy or anything that employs language. In a remarkable book Wittgenstein and the Mystical: Philosophy as an Ascetic Practice Fredrick Sontag sets ten themes that run throughout Wittgenstein’s work. The “themes” dominated Wittgenstein’s life and, Sontag argues, provide a way to understand Wittgenstein’s work. The themes are, as his reviewer puts it, : (1) Philosophy as an ascetic practice; (2) The philosopher as existentialist/pragmatist; (3) The monk’s isolated search for forgiveness; (4) The penitent’s search for forgiveness; (5) The struggle with God as an unknown object; (6) Philosophy as a “religious” way of life; (7) Philosophy as a life of courage; (8) Serious philosophical pursuit has an affinity to mysticism; (9) Language has a mystical quality; (10) Insight can be imparted only to one who is serious and dedicated. I focus here particularly though not exclusively on Notebooks (1914-16) and then subsume those observations and comment on them from mystical viewpoint. Some statements from Tractaus are too well known and commented to need quoting here. Almost all the statements on religion, ethics and aesthetics in the Notebooks need to be kept in focus for appreciating our reading. Here only a few statements can be quoted or alluded to while commentary proceeds. The work of art is the object seen sub species aeternitatis and the good life is the world seen sub species aeternitatis. This is the connection between art and ethics. The urge towards mystical comes after non-realization of our wishes by science. We feel that even with all possible scientific questions answered our problem is still not touched at all. It is true: Man is the microcosmos. There is no such thing as the act of the will. Will is the attitude of the subject to the world. World in itself is neither good nor evil. Objects I can only name. Where in the world is the metaphysical subject to be found? How things stand is God. …my will is world will. There can and must be mentioned of I in a non-physcological sense in philosophy. For doubts can only exist where a question exists; a question can only exist where an answer exists, and this can only exist where something can be said. The fact that Wittgenstein had personal mystical experience is well attested. His description of being absolutely safe and seeing creation as a miracle are so compelling that we hardly need to entertain any second opinion about the mystical in him or his encounter with the mystical. The cognizance of the fact that there is a world is enough to make one dance with ecstasy and wonder. Wonder is the beginning and end of human wisdom. According to him philosophy is not one of the natural sciences. He made the aim of philosophy more a vision than any things else (Pradhan:237). He aims was to get “vision of things as they are and therefore he aimed transcending philosophy itself. Philosophy could be transcended only after it has given us the correct vision of the world. As we have said earlier, this vision consists in man’s knowledge of the world, or in other words, in the metaphysic.” Although metaphysical interpretation of Wittgenstein’s thought has been disputed we can still say that he does argue for a new way of looking at the world which involves a kind of transcendence quite similar to the one advocated by mystics. After enlightenment the world continues to be the same but we have one foot above the ground as famous Zen anecdote recounts. This is the whole burden of a remarkable work titled Wittgenstein: A Way of Seeing. To quote only one statement from Philosophical Investigations “What you have discovered is a new way of looking at things. As if you had invented a new way of painting; or again a new metre or a new kind of song” (401). Wittgenstein is a metaphysician in a special sense. He is a philosopher of transcendence. This point may need a clarification. Metaphysics as conceived by its greatest masters across traditions from Nagarjuna to Sankara to Lao Tzu to Eckhart and IbnArabi consists in a vision that transforms our ordinary perception or attitude regarding the world. It is not necessarily a vision of beyond in the sense that involves moving out of oneself and talking of an abstraction or higher world ontologically distinguishable from the world we all know. It always presupposes samsara-nirvana or world-heaven equivalence. The immediate is the ultimate and path is the goal as Zen tradition would put it. God is the green in the trees and the red in the sunrays. Transcendence could well be construed as true being of beings as Heidegger would tell us or mystery of things or depth dimension of things. Everything is within according to all traditions.There is no other in absolute sense. All are one. IbnArabi’s words “you are everything, in everything, and from everything” express the vision of all great mystical thinkers. Thus all the higher worlds are part of the Self or consciousness. Ken Wilber has been emphasizing this point especially in almost all his writings. things. Some philosophers (or whatever you like to call them) suffer from what maybe called “loss of problems.” Then everything seems quite simple to them,no deep problems seem to exist any more, the world becomes broad and flatand loses all depth, and what they write becomes immeasurably shallowand trivial. Russell and H. G. Wells suffer from this (Z, 456). His remark about Ayer after listening to his debate with Father Copleston that ‘he has a point but he is shallow’ underscores the same sensibility. His remark that “The I, the I is what is deeply mysterious”(p. 80 of his dairy) is in line with this viewpoint. Though he granted that only strictly scientific statements are meaningful but he cautioned against positivists that natural science could never touch what was really important in human life, the mystical. Wittgenstein gave great attention to language in order to show that what constitutes us and what we value most is delimited from what could be expressed in language, from profane textual domain. The Tractatus’s design was expressly determined by this consideration. For him the metaphysical self that constitutes us transcends the world, the urges that move us point beyond the world, experiences that we most cherish are of the world beyond the ordinarily familiar world, our ethical and aesthetic dimension is anchored outside the world. For him both the willing subjects and the knowing subjects are one and both are outside of the world, and are the source of our language and world-cognition. However, as in mystical traditions, transcendence is not consummated; it remains an unfulfilled quest. It is movement, perpetual movement and not reaching anywhere. It is the limit that can never be reached. Absolute is inexhaustibly rich. Man must perpetually travel. Experiences are open ended and self is perpetually creative. Our search for transcendence, like our need to engage with philosophy is, as Pradhan has noted, “merely an ideal never to be fulfilled, because the metaphysics of experience as unfolded through our subjectivity has to be constantly guarded against unclarity and confusion through language itself. Therefore, philosophy can never ultimately be transcended, since transcendence of language itself is a continuing activity which is performed by philosophy” (Pradhan, 237). It means one can never stop worshipping or glorifying God and travel on the plane of servitude or perfect his surrender or state of innocence or vulnerability to reality. Mystics, as true philosophers (as traditionally understood activity) are always striving to remove the veils of language and thought in order to reach the still centre of existence that transcends language and thought. Wittgenstein is quite clear on the point that Conceptual analysis can teach nothing about reality. Nor resolve the puzzle of how we should understand the world and how we should live. He leaves all questions open and thus paves way for alternative approaches that bypass conceptual analysis and science for understanding or living the great mystery of life. As Paul Johnson notes: “The conclusion of a Wittergenstein investigation still have all great questions open. As far as the Inner is concerned, in one sense it will always remain as mysterious as life itself” (Johnson: 239). This is precisely mystical attitude towards mystery of life. No question is answered. Only our plane of seeing life shifts and dissolves the ordinary sense of questions. We consent to unlearn. The learned ignorance. “The mystic is an extraordinarily ordinary person” He is a non-knower, non-caner. “The human need for account for the world and our place in it will not disappear, because traditional metaphysics has been shown to be flawed… accepting these points doesn’t involve embracing relativism and is close to a moral argument. (Pradhan, 239). It means the mystic, the artist, the poet, the scientist, shall ever be busy and man needs to be humble. Let Reality speak to him. Let him learn to be receptive. Imposing conceptual structures is violence. We need to learn to be still so that God speaks to us in silence. This opening up, surrender of self, emptying out and polishing our receptivity is what is the crux of Vedanta as Som Raj Gupta has argued in his largely ignored but superb work Word Speaks to the Faustian Man (1991). In fact all religious and mystical traditions are agreed on this point. Wittgenstein’s statement that ‘God is the meaning of life’ is quintessentially mystical and best understood in light of mystical writings. Underhill’s explication of the meaning of life in mysticism is best commentary on this statement. One can’t be more God intoxicated to equate the most significant thing in life with God. Wittgenstein’s statement that man is a microcosmos is comprehensible only in mystical worldview. He also observed that “As a thing among things each thing is equally insignificant. As a world each one equally significant” (7-10-16) which reminds of Blake’s seeing the heaven in a grain of sand. Mystics have never doubted the significance of the meanest flower or blade of grass seeing everything as the face of the Absolute, as participating in everything. Wittgenstein famously remarked that the riddle doesn’t exist and the solution of the problem of life is seen in the disappearance of the problem of life. For mystics God is the Light of the world. The question is how to live and that dissolves the problem or riddle. Life is not a riddle to be solved but a mystery to be lived, dissolved in. Riddle exists for those who want to conceptually approach life that resists all logic. The problem of meaning of life is the problem of how to live, how to live so that life stops being problematic. For him good life is world seen in certain way rather than in a way of behaving. For him there is no value in the world (6.41). It is impossible for to be there proposition of ethics (6.42). The problem of how to live becomes for him not some epistemological inquiry the problem of how to look at that world, the problem of how to find the right spirit in it. Wittgenstein assigns key importance to art, on the ground that art alone can express the meaning of life. Only the artist can teach the things that matter most in life. For him art is the solution. Compare this with Coomaraswamy or Schuon on art and aesthetics and we get the full import of the statement. Wittgenstein has categorically stated the error of moderns for believing that laws of science explain nature. The world is suffused in mystery that is divine. The very fact that there is a world is incomprehensible and metaphysical. God has been conceived as mystery, as given, as something that is – ‘what is’ in Augustine’s and Krishnamurti’s phrase. Who can afford to deny the “gratuitous” universe? Philosophy begins and ends in wonder explaining nothing and demanding our opening up towards the transcendent miracle of existence. Modern man’s key problem in engaging positively or creatively with religion/mysticism arises from felt absence/hiddenness of God in contemporary experience. But taken as synonymous with Reality the complaint seems to lose all warrant. God is the only Experiencer, Knower and Actor. If we gaze, it is upon Him; if we use our intelligence, it is towards Him; if we reflect, it is upon Him; if we know it is Him. For it is He who is revealed in every face, sought in every sign, worshipped in every object of worship, and pursued in the invisible and the visible. The whole world prays to Him, prostrates itself before Him and glorifies His praise; tongues speak of Him, hearts are enraptured by love for Him, minds are bewildered in Him (Futûhât, III: 449-50). For Wittgenstein these lines of IbnArabi would be perfectly comprehensible given his notion of metaphysical subject and its role in constituting experience, his view of the world as my world. Here I propose to compare Wittgenstein and IbnArabi by keeping IbnArabi’s explication in the background while applying the same for understanding Wittgenstein. Agnosticism and skepticisms of various orientations in the contemporary world have a point if understood as the declaration of impossibility of conceptually knowing the Reality, Transcendent Principle, the Ground of existence, the whole Truth, the Mystery. However these are often presented in cruder versions that deny men any knowledge of the supraphenomenal or the very existence of the sacred for which Wittgenstein and IbnArabiwill have zero tolerance. The Pure Absolute or Essence (Dhat) in its fundamental aspect – and thus Meaning/Truth/ Presence/ Identity/ Reality per se – is beyond the human quest and all attempts to reach It, track it, pinpoint It, catch It in the net of language or realm of the finite or time, to conceptualize It, to imagine It, to speak about It, to affirm anything of It are doomed. Before the Ipseity or Dhat one can only be bewildered according to Ibn ‘Arabî and Wittgenstein. The world is ultimately a Mystery, a Mystery of Mysteries and no rational or scientific approach could finally and completely demystify it. The world being ultimately a mystery that resists being demystified by means of conceptual intellect is what transcendence implies as Stace has explained in his Time and Eternity (1952). There is no humanely discoverable ultimate truth. All representations of the Real are provisional. Godhead/ Absolute/ Zat-uz-Zat is opaque, deep deep darkness, impenetrable, the absolutely inscrutable unknowable Other. Gnosis consists in knowing that God can’t be known as Abu Bakr is quoted time and again by IbnArabi. As the world is not-He and man ever a worshipper of his Lord or conditioned by his belief – a notion subsumable under the concept of form of life in Wittgenstein, and nothing is ever repeated as God’s theophanies change ceaselessly imply that the world will never cease to be an object of wonder and fascination and Beauty never cease to be worshipped and act as an efficient net through which God catches most of his servants as Plato also noted. Rationalization, familiarization, demystification and descaralization of the world that ultimately make it inhuman, alienating and absurd and disrespectful towards the Big Other can’t happen in the Akbarian/Wittgensteinian perspective that sees the mysterious, sacred divine face in everything. Western philosophy, as Heidegger pointed out, is oblivious to the ground of being. It is not open to the sacred mystery of Being. It is not the philosopher but the poet who can show the track of the holy, to the sacred mystery of Being. Nothing in the world of known can express the Divine Darkness. All quests end in wonder. In the last analysis man knows nothing to its depth by means of senses, language and reason. Other modes of knowledge such as intellectual intuition give us another kind of knowledge that instead of making things comprehensible dissolves the knowing subject in the object preserving the ultimate mystery of things in the process. If to comprehend means to have discursive conceptual knowledge we comprehend nothing ultimately. All our explanations, analyses stop at a certain point. Things are as they are. There is something instead of nothing. Being or wajudis in the last analysis a miracle or a scandal to reason. Why should there be a knowing subject and why should our universe be comprehensible are perhaps unanswerable. Man knows but little and this applies to everything from God to quarks. God is incomparable, transcendent. Symbols are all we know. We can only name things and that is all but things escape us as Wittgenstein would say. God alone knows or is Knowledge. The knowledge of reality given to mystics and prophets is of a different order. God remains inscrutable and the sacred inapproachable. Man’s prerogative is to contemplate and dissolve in the mystery of being. Though being is aware of itself this awareness has no analyzable or knowable structure. We are here and there is no cure for it. But, more precisely, we are not. Only God is. Only the play of divine names is and man happens to be a locus of their action rather than some independent subject or agency. The cloak of mystery can’t be removed from the universe. All human knowledge is progressive unveiling of the ultimate impenetrability of the veil that disguises Reality. Essences are not discursively known. Existence is a mystery and its grandeur and sublimity defy our reason and its categories. Rereading of Kantian sublime by such writers as Derrida or Lyotard is based on increasingly felt inability of reason to contain the brutal power of imagination. We can’t conceptualize or represent in language the infinity which human beings do encounter. The highest station is that of bewilderment according to IbnArabi and Wittgenstein . All this implies that dogmatisms are unwarranted. Exoteric theologies need to be on guard and take Wittgenstein seriously as Kerr has also argued in Theology after Wittgenstein. It is God and not the name of God that religions seek. Exoteric theologies may not distinguish between the Truth and the descriptions or representations of Truth. Nothing can capture the Reality in rational propositional framework. Even ethical propositions are not possible for Wittgenstein. This means we can only know our inability to know God and will good on our own and this means humility in the face of the Great Mystery that God is. This vetoes all self righteous fundamentalist ideologies. Jaina doctrine of syadvada is a corollary of the fundamental mystery and transcendence of the First Principle, the Absolute. This rules out all totalistic or totalitarian claims. Ideological conflicts are based on one’s exclusive claim to have access to truth and denying one’s fallibility. Religions by relegating truth to transcendent realm and its access to transcendent intellect (which is in us but not ours) veto all quarrels about accessibility to it of any worldly ideology and self-centric person. Secular philosophies that require no moral purification on the part of the philosopher are barred from entering the doors of the great King or Truth. The essential ethics of Wittgenstein like that of IbnArabi is constituted by such virtues as disinterest, self-denial, charity and love which form the ethical core of all religious/mystical traditions. God is experienced by everyone who sincerely cultivates these virtues. (Post)Modernity has essentially no argument against these values and indeed affirms them. Ibn ‘Arabî has nothing to argue for and against – he only invites us to experience things afresh, to be open to the Real which alone is really experienced in every experience. Wittgenstein’s endeavour is similar in his invitation to transcend language and thought in order to see what is, to see things sub species aeternitatis, to see solution in aesthetics, to live rather than think the mystery that life is. God is not a hypothesis that one needs to prove or could question – He is the ground of every perception, every imagination, every conception or thought, every experience. As Wittgenstein puts it there is no answer as there is no question where nothing can be said. Wittgenstein is not himself a philosopher in the modern sense of the term which sees reason as the chief if not the only tool for understanding or approaching reality. His view of modern philosophers could not but be largely negative. For projecting IbnArabi or Wittgenstein as a philosopher we need to refer to perennialist conception of philosopher and philosophy. His denunciation of rationalism and much of what today passes for intellectuality aligns him to perennialist critics of modern thought. It is not a prerogative of ratio or mental faculty of reason but of nous, the supraindividual universal faculty of intellect. For Wittgenstein knowing and willing subjects are one and man is knowledge, so to speak. Instead of conceptualizing we can see and in order to pave way for that direct seeing he removes the traps and cobwebs that language builds. Philosophy should not be a mere theoretical rational inquiry, a conceptual analysis or analysis of language as an end in itself but a realization, intellection or noetic vision that transcends subject-object duality and demands something like ethical discipline that Plato argued for. Philosophy as an abstract philosophical discourse based on rationalistic scientific method and its methodically obtained “truths” is what Ibn ‘Arabî and Wittgenstein often critique. Philosophy for Wittgenstein is not a method to discover truth but a sort of shock therapy to prepare us for receiving truth, to make us innocent or children again. It is a sort of death to the linguistically/conceptually constructed self. Philosophy implies for all of the ancients a moral conformity to wisdom: only he is wise, sophos, who lives wisely as Schuon notes (8:136). Living happily is living wisely. Living in such a way that problem disappears and there is no more sorrow and one partakes of eternity by living in the present is what Wittgenstein is all about. Philosophy in the traditional Orphic-Pythagorean sense is wisdom and love combined in a moral and intellectual purification in order to reach the “likeness to god.”( Uzdavinys, 2005). It is contemplation of Beauty and Good. This is attainable by gnosis. By philosophizing ancients meant “both noetic activity and spiritual practice.” Wittgensteinian conception is remarkably similar. In IbnArabi’s understanding the Real alone is and there is no distance between us and It. We are already there in the lap of God – we have never been really away and cannot be away from It. God has never been missed. We have forgotten or fallen asleep but this doesn’t alter the fact that God is our very being, our inmost reality. Man is inwardly God and outwardly a creature according to Ibn ‘Arabî. The world is God’s visible face. The real, the obvious, that which is always with us, has been always with us, will always be with us, is God. God is the world. God is how things are as Wittgenstein would put it. But this doesn’t make him a pantheist as he has categorically stated also that God is outside the world, the world constructed by language, by a self that sees it as the other. God is the Isness of things. He is the Meaning of everything as Wittgenstein said. God constitutes all pervasive Environment (al-Muhitin the Quranic parlance) in which normal man lives, moves and has his being. Realizing that everything is perfect this very moment or, in Buddhist (Nagarjunian) terminology, that samsara is nirvana is realizing God. Wittgenstein’s transcendence of good/evil binary and pleading for a vision of perfect harmony between the self and the “alien will” called God and seeing everything as unalterably perfect makes the same point. Such notions as “Ground of being” “ depth of life” “mystery of things or existence” which many moderns have advocated as substitute metaphors for what used to be conventionally called God and most often pictured with a human face by anthropomorphic idolatrous imagination seem to be given some representation in this fundamentally Unitarian view of God as Totality, as Reality. God is not an epistemological problem at all that our mind/reason can investigate. He is a percept rather than a concept for Ibn ‘Arabî and Wittgenstein. In more poetic terms He is a song to be sung rather than an abstract Being, a Being among other beings but a Being of beings. God is “the knownest of the known” and so close that we only need to open our eyes, to cleanse the doors of perception to see how. Belief in God is not a proposition for Ibn ‘Arabî and Wittgenstein but a matter of tasting, experiencing the divine (or the revelations of sheer Being), which, to him, presents itself in all experiences every moment and for everyone – in fact God is the Hearing and the Seeing as is often reiterated in the Quranic verse – and not just to a select few in the so-called religious experience which is a Jamesian construct uncritically accepted by many modern philosophers of religion. All the roads lead to His abode as they proceed from it. God is the name of ‘that which is.’ He is not something within isness, he himself is that which is. Modern man’s problems are primarily with a constricted dualistic theological view of God and static absolutes of idealistic philosophies. Ibn ‘Arabî’s and Wittgenstein’s conception of divinity is not vulnerable to these standard critiques of theistic and idealistic philosophical pictures. Most empiricist-positivist-postmodernist critiques look beside the point and based on faulty construction of religious experience. Modern philosophy of religion seems to have gloriously misunderstood the central experience of religion if Akbarian exposition is accepted. It is not a subject that sees something which constitutes the essence of religious experience or mystical vision for Wittgenstein or IbnArabi. It is more a discovery or insight into things as they are, an attitude, a way of seeing the world rather than a particular or extraordinary experience. Wittgenstein, like traditional philosopher-sages, is more concerned about certainties “seen” or “lived” by the immanent Intellect, as did the best of Greeks than about building rational speculative metaphysics. Cracks, crises and emasculations of the discipline of philosophy in the modern West could have been avoided if the West had not opted for Latin Averrorism and Cartesian rationalism and consequent dualisms and irresolvable problems that still haunt its epistemology and other areas like ontology. Wittgenstein, like IbnArabi, provides a possible exit point from the choking morass of skeptical thought currents which otherwise doom us to abysmal ignorance regarding our most important questions in life including possibility of certain knowledge and knowledge of good life or good action. “The final end and ultimate return of the gnostics … is that the Real is identical with them, while they don’t exist” said IbnArabi. Wittgenstein arrives at similar conclusions through a different route. It is through the metaphysical realization that one realizes that the Self withdraws from the “servant-Lord” polarity and resides in its own transpersonal being. The subject-object dichotomy is transcended by virtue of pure intellect or Spirit, which is identical with the divine Essence” (Qaisar, 2002:133). Once the soul or nafs has withered away in the experience of fana, the self-identity of mystic realization is transformed into the Self-identity of metaphysical realization. In the metaphysical perspective the reality of the ‘I’ doesn’t belong to man or nafsbut to the Spirit which is the divine spark at the center of man’s being identical with the unmanifest consciousness or Divine Essence. The crucial distinction between soul and Spirit is necessary to understand the Akbarian-Wittgensteinian metaphysical conception of religious experience. This distinction is largely forgotten by most philosophical critics of religious experience. Numerous misunderstandings and debates of theological vs. mystical debate in religions and meaning of such notions as soul/spirit, God/man, could be resolved if we keep these key points in mind. A fruitful dialogue with critics of religion and mysticism and in fact with secular thought in general is possible if we keep in mind ingenious interpretations put forward of many exponents of nondualism in the contemporary world. For Wittgenstein happy life is life divine and the great moral prerogative. It comes by loving the world, byamorfati. It comes from transcending the principle of ego which judges from self-centric perspective. Jesus said “judge not.” For Wittgenstein joy accompanies this surrender of vanity of the self in the All Embracing Divine Environment or “alien” Cosmic Will. He defined God as the Other, the Great Other that dictates terms, that constrains one, that embodies principle of Necessity. One is reminded of many writings and especially the following from Augustine’s commentary on Psalm 32 in one of his sermons. As the harvest, in the vineyard, wherever men must labour hard, they begin with songs whose words express their joy. But when their joy brims over and words are not enough, they abandon even this coherence and give themselves up to the sheer sound of singing. What is this jubilation, this exultant song; It is the melody that means out hearts are bursting with feelings words cannot express. An to whom does this Jubliation most belong? Surely to God, who is unutterable. And does not unutterable mean what cannot be uttered? If words will not come and you may not remain silent, what else can you do but let the melody soar? (Qtd.In Kerr, 1986:167). In mystical perspective God is joy and awareness of God is joy and thus awareness of reality in which all association with the self is put aside. If it is possible to access Reality or God nihilism is overcome. Weil has an ingenious argument to show that awareness of reality is joy and despair or sadness is a loss of contact with reality. This is her expression of old mystical /metaphysical viewpoint which identifies God as ananda, bliss. Simone Weil expresses the identity of joy with the awareness of reality. Since beauty is manifest appearance, the striking sign of reality, joy can only be a feeling, an awareness of reality. Weil describes sadness as a loss of contact with reality. Through sadness we cannot fulfill our vacation – to understate misery of our condition and to accept our reduction to what we truly are: nothing. The memory of the revelation of reality through joy keeps us from plunging into despair, and the joy felt in our nothingness can be inscribed in our sensibility only by suffering. “Joy and pain are equally precious gifts both of which must be savoured fully, and each in its purity…” ( Weil, 1951: 132). Simone Weil best captures the essence of many ideas that Wittgenstein only briefly touches. I think her observations allow us to make sense of Wittgenstein’s many observations from a mystical perspective. I reproduce some of her observations to put Wittgenstein in perspective and make him comprehensible. Wittgenstein maintained that God is the Meaning of life and one must love the world unconditionally to appropriate this meaning. Weil is at her best in showing how one creates the meaning in life by renouncing all personal meanings, by complete acceptance of submission to the order of the world. One loves the order of the world by renouncing all personal interests. This is, in practice, close to Spinoza’s view of love of God by renouncing every vestige of personal interest. Freedom lies in recognizing our utter dependence on Totality, on God and in fact giving up sense of illusory autonomy or freedom that we associate with a separate individuality. We are not asked to do something against which our heart or head rebels but just shifting the perception in accordance with the nature of things. One is just asked to accept or recognize the obvious fact that there is the order called necessity, which exists prior to us and which is there for reasons not necessarily understandable in human terms. Reality is there that transcends all our estimates, evaluations, desires and constitutes the given and man has no choice but to accept it by renouncing that which would have led him to rebellion – the sense of individuality and freedom outside God. “Where there is complete, authentic, and unconditioned consent to necessity, there is the fullness of love of God” (Weil, 1956: 267). Other texts identify the supernatural faculty in us as consent. For Weil that consent is always consent to the good, and, as such, it is the good itself. Faith is itself this faculty of submission or consent according to her. Absurdism rejects this notion of consent as a species of bad faith. Affirming the principle of autonomy and freedom in man independent of God it can’t but reject consent and consequently suffer alienation, angst and all those things with which absurdist literature is suffused. All traditions emphasize remembrance of God. Modern mystics such as Krishnamurti translate it as attention or choiceless awareness. Weil has a similar understanding. Attention bridges division of subject and object, knower and known. Attention consists in suspending thought, in making it available, enmity, penetrable by the object….Thought must be empty, waiting, not searching for anything, but ready to receive in its naked truth the object which will penetrate there (Weil, 1951: 92-3). For her God is attention without distraction. It is living as a witness, a detached subject or awareness that watches every moment, that lives in the present by transcending thinking which distracts one from the given, the present. Living beyond the mind, in what has been called as the space of no-mind where time doesn’t enter and thus neither fear nor hope nor any need of consolation. God is what is in Krishnamurti’s phrase and to live in God is to be aware of what is without judgment, without condemnation, disinterestedly. Wittgenstein pleaded for seeing without the conceptual glasses, seeing things as they are after transcending philosophy. He meant something similar. Contemplation is a means of transcending confusions created by use or misuse of language. Giving up the centre of one’s own value system is harder, but when we succeed, the very sensibility changes and we become capable of a new way of seeing. We are able to “empty ourselves of little false divinity, deny oneself, to renounce being at the centre of the world, to discern all the points of the world as being centers in the same title and the veritable centre as being outside the world.” Wittgenstein was all for this ascesis, this transformation in attitude and not correcting one’s views by updating our knowledge of history or science. By saying that God is outside the world or aesthetics is transcendental he meant adopting the divine perspective of seeing things from outside the world. This necessitates transcendence of individuality and human way of seeing and judging. When we are no longer centers we can’t condemn anything and can justify the world. Nothing can be produced unless the conditions for its production are brought together. If one desires a particular thing one becomes enslaved to the series of conditions. But if one desires the series itself, the satisfaction of this desire is unconditioned. That is why the one and only liberation is love of the order of the world. Christ on the cross, the greatest harm inflicted on the greatest good [can anything be more absurd and more revolting]: if one loves that, one loves the order of the world (Weil, 1970:143-144). Nietzsche suggests a similar way of overcoming nihilism. Affirming the order of the world, praying for nothing, or letting one consent to the order of the world, freedom from the self that seeks consolation and this or that thing – these are the strategies common to Weil and Wittgenstein and in fact is the mystical position. Eckhart teaches the same thing. Man has only two choices – to affirm his will, his autonomy or to affirm divine or cosmic will and his creatureliness, his nothingness. The first choice pits him against God and against cosmos and leads him to wail and despair for that which is thwarted, which is not honored in the scheme of things. When one renounces free will and thus choice between good and evil one no longer wishes good against evil to be done to him. Everything is justified because both good and evil are really one. (This relative understanding of good and evil is to be distinguished from that supreme value which Plato calls Good which stands above all relative distinctions.) Camus finds Christianity based on great injustice as an innocent lamb was sacrificed. Weil leaves no scope for any such reading. We too are asked to consent to die, to be crucified, to love God in utter desolation of the Spirit when He seems absent as He was when the Christ cried. Wittgenstein wanted us to see things from God’s perspective or sub species aeterneti. Weil asks for adapting the perspective of God or the non-perspective of supraindividual faculty of intellect (nuous as distinct from ratio or discursive reason). For attaining this perspective one has to die first. One starts from the Absolute and from the perspective of the Absolute man, his free will, his dreams, his autonomy is an anomaly, a state of disequilibrium. If individual is engulfed in the Absolute as critics of perennialists point out or as existentialists argue against monists, it is something for which nothing can be done. If we are concerned with truth and not sentimentalism there is no escape from the tragic fact that individual or ego doesn’t count in the face of the Absolute. Are we after truth as such or truth as it appears to our subjective predispositions, to our heart? God is Truth and man may be in need of consolation though truth need not be necessarily consoling. From perennialist/Weil’s perspective the need for consolation is a weakness and a species of bad faith. This also explains Wittgenstein’s critique of conventional prayer as petition.We need to be iron-willed, capable of facing utter solitude or Void (Neant). It is only the strong man, the superman, who can unconditionally affirm and love fate – a fatalist in this higher sense is a man of strong character – or consent to eternal recurrence. Weil thus advocates the perspective of God in contrast to man-centric perspectives that individualist subjectivist thought currents advocate. This appropriates Keatsian negative capability, Nietzsche’s perspectivism and Jainism’s syadvadaas all these imply openness to infinitely nuanced and multidimensional character of reality or truth. Wittgenstein observed in Tractatus. “How things in the world are a matter of complete indifference what is higher. God does not revel him self in the world.” He rejected conception of prayer as petition. He, however, attempted to make sense of religious person’s trust in God and religious language that express care of God. Weil explains this difficult problem in her own characteristic way. We need to note that nothing is gratuitous and nothing is meaningless and nothing is out of God’s control, care and mercy in God-centric view though nothing is respectful of human egoism which wants things according to the self’s desire. Not a sparrow falls except by the writ of providence. There is no role for chance. God is equally present everywhere, in all circumstances. Even rain drops fall in a measured quantity and angel accompanies every drop. This is the conviction of all religions, even those who have no personal God to look into the affairs of the world. However these statements are best understood by those who are familiar with the strange language of God. One can approach such statements not as cognitive verifiable statements that positivist or empiricist could handle but only by being within a “form of life” and mastering the rules and conventions of the particular game. Despite the fact that God is “absent’’ for Weil there is providence, the mystery of which is not decipherable to the uninitiated, to those profane inquirers who refuse to be annihilated in God and insist on seeing things outside God. The following account is irrefutable on its own terms by outsiders. All the events of life, whatever they may be, without exception, are by conventions or signs of God. God establishes a conventional language with his friends. Every event in life is a word of this language. These words are all synonymous but, as happens in beautiful languages, each of them has its completely specific nuance, each of them is untranslatable. The meaning common to all these words is: I love you. A man drinks a glass of water. The water is God’s “I love you.” He is two days in the desert without finding anything to drink. The dryness in his throat is God’s “I love you” … Those who are beginning to learn this language think that only some of its words mean “I love you.” Those who know the language know that it has only one meaning (Weil, 1970:128-129). There is no providence that pertains to our created nature which itself is a result of injustice because by definition it tends to be autonomous and in opposition to the whole, the totality that the term God designates. What transcends the world is indeed indifferent towards the concerns of the world as Wittgenstein would say. To be born is indeed sin according to both Christian and Eastern traditions because it involves separation from the ground and thus a kind of fall. (Redemption consists in, according to Weil, consenting to return to God what is His, i.e. our very being or existence. Metaphysically our being is a non-being and God alone is truly real and the illusory dream of separate existence must be given up and this constitutes salvation.) Providence has, as in Beckett, only a negative meaning, of ensuring decreation so that the dust returns to dust and the uncreated Spirit comes to its own glory. Because creation is abandonment it necessarily implies subjection to necessity and thus, in a sense, absence of providence in the usually accepted sense of the term. God abandons our whole entire being – flesh, blood, sensibility, intelligence, love – to the pitiless necessity of matter and the cruelty of the devil, except for the eternal and supernatural part of the soul. The Creation is abandonment. In creating what is other than Himself, God necessarily abandoned it. He only keeps under His care the part of Creation which is Himself – the uncreated part of every creature. That is the Life, the Light, the Word…” (Weil, 1970: 103). God himself can’t prevent what has happened from having happened. What better proof that the creation is an abdication? What greater abdication of God than is represented by time? We are abandoned in time. God is not in time. At this very moment God, by his creative will, is maintaining me in existence, in order that I may renounce it (Weil, 1970:140). One doesn’t ask of providence to take care of this and that because if one loves the order of the world one transcends it with all its misery. Love is transcendence. It is we who are asked to redeem or justify ourselves in relation to the Totality. Love of the world takes all its pain. Love, in the final analysis, is the one thing needful that solves all problems. Here Rumi comes to mind who says love cures all ills. As Weil says: “It is sufficient if we consent to this order of things.” Faith is precisely this demand for loving the world which God has made and found good. Faith is trust in the order of things. It is gratitude towards Existence. It is self effacement before the whole, the Totality, the Tao. It is renunciation of all claims to a separate selfhood over and against the Whole. Weil has a time tested mystical mechanism of ending of time called decreation. Decreation, according to Weil, means the “end of time.” There is an eternal and hidden part of soul which has the reservoir of energy “beyond time.” Through it one lives beyond time. Nihilism is overcome by those prepared to live it to hilt by annihilating oneself, by eliminating the seeking self which lives in time and rising above the mind which lives in past and future and never beyond time, in the moment. Cultivating the faculty of undistracted attention and intelligence one breaks through the prison of time. Weil is convinced as is Beckett that there is a timeless dimension which is our home. The entire life of the self is directed towards the future because its substratum is supplementary energy, “produced” only by motives whose ends are in the future (or in the past) (Weil, 1956: 184). One should live in the present breaking the ties with the future and the past. Here Heidegger comes to mind who sees life as project into future. Being reduced to the present moment also implies a sinless state, since sin is essentially a claim to mastery over the future, the refusal of future love or suffering, or the refusal to repent of an evil act committed in the past: “If we contemplate ourselves at a specific moment – the present moment, cut off from past and future – we are innocent… Isolating a moment in this way implies forgiveness. But this isolation is detachment” (Weil, 1956: 216). The fat that life is problematic shows the shape of your life does not fit into life’s mould. So you must change the way you live and, once your life does fit into the mould, what is problematic will disappear. Or shouldn’t I say rather: a man who lives rightly won’t experience the problem as sorrow, so for him it will not be a problem but a joy rather; in other words for him it will be a bright halo around his life, not a dubious background (CV:27). This is the crux of mystical theodicy. This is what Buddha said in a different way. Eliminate desire and you will be in peace. Wittgenstein said this quite clearly and wondered what for are amenities. He was the monk in the true sense. ‘Ethics,’ Wittgenstein says, has nothing to do with punishment and reward in the ordinary sense (TLP,6.422) and he adds that “the ethical consequences must lie in the action itself. If we assume that it is a person’s actions and the way those actions are performed that create a life, then the ethical desert of those actions is simply that life itself, and since life and the world are said to be one, the ethical reward is nothing else but the fact with which the world looks back at you. To complete the account let us remember that the face that looks back at our is your own: it is tempting to speculate that your ethical reward is no more nor no less than the discovery of your own character.” From Lao Tzu to IbnArabi and Eckhart mystical ethics and its eschatological significance has been almost similarly understood. For mystics like IbnArabi people choose their stations in the other world. God only unveils their reality. People judge themselves in the light of the Absolute. Choosing to live inside the cocoon of limiting self amounts to obstructing Divine Mercy or choosing separation from the Real. Prayer establishes the dialogue between the self and transcendence. Refusing to pray – which is, for IbnArabi, simply gratitude to Existence for the gift of life – amounts to condemning oneself to self referring and self enclosed windowless subjective space. Hell is self love and nothing burns there but self will as one Christian mystic has said. Modern world is largely convinced that ethics is relative and everything is permissible. There is no ontological foundation for ethics. There are some isolated thinkers who challenge dominant model but in almost all spheres of secular life there are no imperatives like those bequeathed by religions. In contrast Wittgenstein’s ethics, like mystical ethics, is grounded in ontology. Noble character traits are not merely extraneous qualities that have no bearing upon our mode of existence. They define our mode of existence and the extent to which we participate in the fullness of the Light of Being. He accepted and further developed by including aesthetics also in it Moore’s definition of ethics as a discovery of the Good or Divinity. Ethics, he said, is transcendental. The moral law within is not biological or cultural product. It is the voice of God. Values are from the transcendental world. His disagreements with Plato come to end here. Ethical commandments have to be observed if man desires felicity. Modern wishy washy do goodism or absolutization of ethical relativism or ethics complicit with Capitalism and other power centric ideologies are not compatible with Wittgensteinian theomorphic ethics. Capitalism and State Capitalism disguised as Marxism have little room for attributes of beauty. There is no warrant for ignoring the Scale of the Law interiorized in conscience which provides the norm. Antinomianism which has been popularized by certain libertine Gurus has no place here. Men with all their limitation and imperfections can’t claim to be infinitely beyond this world and thus beyond good and evil which we encounter at every stage of existence. Man must always separate divine viewpoint which is corollary of his incomparability from his own human, all-too-human viewpoint which is a corollary of divine similarity as IbnArabi would insist. However all this should not be construed to imply that he countenances moralism which is typical modern heresy. The deadly criticism of Nietzsche on morality doesn’t apply to his view of ethics. Wittgenstein read Gospels in Brief by Tolstoy and then read Anti-Christ of Nietzsche and could not be moved an inch from his commitment to Tolstoy’s Christian ethical universe. Postmodern probematization of ethics and modern scientific discoveries implicating relativism of morals can’t problematize Akbarian- Wittgensteinian position as he too, like Nietzsche’s Zarathustra, speaks from the high mountains of the Spirit which transcends all actions, good or evil. Wittgenstein emphasizes that man is not an agent of action. He can’t will to do good. This is explainable by reference to God as the Only Doer or what Taoism calls wuweiwei, actionless action. Evil action in ordinary parlance is possible only when man is under the dominion of ego or lower self and Wittgenstein’s demand for possibility of ethics is transcendence of this principle of egoism. It is religion taken as a metanarrative, a system, an ideology explaining things, as privileging of the otherworld or eternity at the cost of this world and time here-now and privileging of soul over body, elaborate creedal formulae coached in terms of propositions privileging the religious as distinct from or opposite to the secular, as unqualified belief in the representation of Reality and their absolutist exclusivism that IbnArabi and Wittgenstein plead for transcending by virtue of their Unitarianism that puts the Real at the centre while questioning absolutization of all conceptions and theorizations of It. The world is one. And It must be affirmed in toto. Language and thought divide the One of experience and integrity of unitary subject and the world. The Real is the essence of everything and no dualistic apprehension or categorical framework can capture it. It is the totality of all existents, a metaphysical whole that can’t be reduced to an object of knowledge by a subject that is thought to be separate from the object. All this implies that meaning closure, epistemic chauvinism, totalistic thought and consequent war on the basis of a particular conception or delimitation of the Reality/ Truth are unwarranted. Truth rather than discourse about Truth which is the prerogative of exoteric theology and rational philosophy is what the gnostic comes to realize and as it is the One and All it necessarily follows that the knower transcends all particular beliefs and views. Living Truth, dissolving in Truth rather than talking about it and fighting for it is the way to end all conflicts that arise from dualistic theological and rationalistic philosophical approaches. For Wittgenstein religion gives one new eyes so that everything looks different and redeemed by and suffused with love. God is wherever love is, beauty is, blessedness is and grace is. In fact God is these things and not an abstraction or object. This solves the important problems of theology as well without making it pantheism either. Seen with the eyes of love, trust and faith everything appears God. God is not the name of a person or entity but the very thingness of a thing, the beauty of beauty, the goodness in the good. As Weil puts it: “God ‘not as I love, but as emerald is green. He is ‘I love.’ And I too, if I were in the state of perfection, would love as emerald is green. I would be an impersonal person (like God)” (Weil, 1970: 129). God speaks these words through all of us who love and more effectively through those who love so intensely and selflessly as to become love. What differentiates a bhakti mystic or Sufi from ordinary mortals or nonmystics is their capacity to love and it is this love which redeems them. All positive experiences – aesthetic, moral, cognitive – are bridges to God-realization. Wittgenstein is concerned, above all, with t he happy life and that he links with transcendence of desiring or willing self. His problem is ethical and existential and his proposed solution too is on these planes that have little to do with language or representation business. His solution involves contemplating, looking, wondering, loving rather than thinking or questioning. He is struggling with/against language rather than doing business with it. His object (ethical/aesthetical/religious or mystical) is not in the world, is untouched by scientific discoveries or any speculative exercise. His concern is metaphysical and metaphysical is what he calls mysterious, mystical, outside the world, supernatural. He was interested in speaking without words – “conveying thoughts by themselves without words” (CV:15). He thought, with Goethe, that we need to learn from contemplation of untrammeled nature rather than laboratory experiement and hypothesis that distort the truth (CV:11). Like Heidegger he found the richness of being to which poets rather than philosophers point out the key to salvation. Wittgenstein was supremely religious man and it is because he is religious in every important sense of term (rather than only in a trivial sense as G. H. von Wright claims) that he said he is not a religious man. Humility is the supreme virtue of a religious man. He had not only respect for religion (including even its rituals) but moulded his life by its dictates. One of the things Christianity says, Wittgenstein thinks, is that all sound doctrines are of no avail. One must change one’s life (or the direction of one’s life). According to him Christianity didn’t talk about what has happened or will happen to man but what happens daily to him, every moment (CV: 28). Existentialist theology and demythologization movement have been emphasizing this point as have been mystics in all climes. For all religions the greatest obstacle in one’s journey to God or beatitude is pride/ego and Wittgenstein was supremely concerned about this thing all his life and many of his biographical details can be understood in this light only. His remarks about symbolic significance of rituals and how they embody our search for the sacred in Culture and Value and elsewhere show how profound his religious sensibility is. His dismissal of Frazer and defence of ‘primitives’ at many points against moderns show what kind of a man he was. His critique of modernity and European civilization is fundamentally on religious grounds. He found in it loss of respect for mystery, the idea of progress, lack of culture and direction or purpose, and the cult of the ugly in its art objectionable. All his beloved writers and philosophers have been religious/mystical. God was his ultimate concern as shown by exemplary moral life he lived and his wish to have been able to dedicate all his work to the glory of God. His biographer, Brian McGuiness reports that before doing any action, he prayed like this: “God be with me!”, “The spirit be with me.” Sin and thus hell were terribly real for him. He thought about sin as seriously if not more as about logic as his reply to Russell to the question regarding what he was thinking about when he came to meet him during night. Explanations, reasons, justifications come to an end in religious thinking for Wittgenstein. Wittgenstein, like the mystics before and after him, did not favour a cosmological conception of a Deity. For mystics theology is in fact autology.He was, like Spinoza, God intoxicated and standard reading of him as fideist or noncognitivist is far off the mark. His considering himself wretched and in need of infinite help and never ceasing to scrutinize the desires, vanity and all that religion cautions against shows how seriously he took religion and what grounds it. There are explicit statements of Wittgenstein that militate against any kind of fideist interpretation, extreme or moderate versions of it. For him God is the case. How things are is the mystical. These imply Wittgenstein can’t be framed in either ethical or conventional religious frameworks. He is fundamentally a mystic who has made metaphysical claims in the sense metaphysics is understood by perennialists. He has made cognitive claims of mysticism though not of religion. What better argument for cognitivity or knowledge claimand against fidiestic interpretations than his assertion that the mystical shows forth? 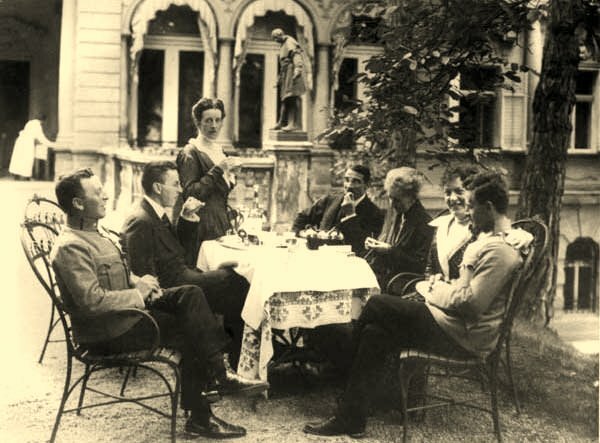 In a letter from the Russian front date 9 April 1917, to his friend Paul Engelmann, who had sent him a poem by the early nineteenth century poet Johann Ludwig Uhlan, Wittgenstein wrote. The Poem by Uhlan is really magnificent. And this is how it is: if only you do not try to utter what is unutterable then nothing gets lost. But the unutterable will be – unutterably- contained in what has been uttered! (Qtd.In Kerr, 1986: 166). Though one can’t clearly state what he means similar things in the writings of mystics that emphasize how God speaks when we become silent and how everything is lighted up by God and God is meaning of everything, how transcendence and immanence or samsara and nirvana are ultimately linked and even one. The unrepresentable shows forth and the gnostic sees nothing but That which is also the Light of the world, the light that is neither of the sea nor of the land but light that lights everything. Though we should guard against the identification of the inexpressible and the mystical it is nevertheless clear that the really mystical for Wittgenstein transcends the world but can be accessed in ethical life rooted in transcendence and mystical and aesthetic experiences and concretely lived in religious forms and rituals. If the Unrepresentable were not accessible there would be no meaning for Wittgenstein’s taking cudgels on its behalf and judging modern intellectual thought currents from religio-mystical viewpoint. Wittgenstein rejects all the important modernist myths such as that of progress and criticizes reductionism in anthropology and psychologism to pave way for faith. He judges modernity in the light of faith. It means how cognitive an affair religion is for him. He takes Frazer and his like to task for rationalistic interpretation of traditional ritual. He pointed out that many religious practices are not generated by any views that one could censure or verify. He saw university educated intelligentsia of the west carriers of moral and spiritual corruption that had thrusted human civilization into a new dark age. For Wittgenstein “Symbolism of Catholicism are wonderful beyond words. But any attempt to make it into a philosophical system is offensive. All religions are wonderful, even those of the most primitive tribes.” (Qtd in Kerr, 1986). Nothing of this sort could come out from an agnostic. Like mystics he rejects literalism and believes in symbolism. He seems to appreciate the transcendental unity of religions by emphasizing mystical core at the heart of them. Religion for him is deed and not theory. This was so for Buddha also and in fact mystics have seen religion as transformative therapeutic towards a good life. Like mystics he underscored nonanthropomorphic character of belief. God for him is not a thing, a being, a superbing, an existence. No doubt can be entertained regarding Wittgenstein’s commitment to religion even if he didn’t deem himself pure enough to be called a religious man. He looked at every problem from religious point of view. He liked to call himself as ‘a truth seeker,’ and he had found it though one can’t claim that he had reached the peaks that advanced mystics have access to. “It strikes me that religious belief could only be something like a passionate commitment to a system of reference, hence though it is belief and assessing life. It is passionately seizing hold of this interpretation.” If religion is a method of assessing life, it is in a way cognitive. If one takes it seriously it means one takes it to be truth of a certain kind. For Wittgenstein religion was a matter of life and death. He was not a phenomenologist observing it with a detachment of a scientist. He plunged passionately into God and found the treasure. He meant business when he talked about religion or philosophy. He had faith and learnt wisdom in the end, the wisdom of an Oriental sage who cultivates detachment. For him it is wisdom that he finds nowhere in his contemporary professors of philosophy doing sort of a work as appears in Mind that really counts. To conclude there is a path that bypasses language and thought for accessing that which really matters, for realization of what has been eternal quest for values. Wittgenstein has outlined this path that needs to be kept in mind while we ponder on the limits and approaches to linguistic representations. No confusion needs to be entertained in understanding Wittgenstein’ essentially religious/mystical outlook. He was not a great mystic but a great mystical philosopher. He had very few intense mystical experiences. He often behaved in a way that is not expected from a mystic. Contemplating committing suicide, extreme agitated mind at times, sense of gloom that obsessed him are not the mark of a great mystic. He didn’t take himself to be a saint but had the saintly ideal of moral purity to which he tried to conform. However if religion or mysticism are centred on deeds or practice we can’t but see him as a great soul who renounced wealth, fame, amenities and other guises that self love takes. He did find for himself the truth he sought and for him indeed philosophy has been love of wisdom. He has more wisdom than faith which is passionless and that is a sign of maturity of religion. His fundamental stance can be expressed in few sentences that express a worldview that is hundred percent Hebraic and hundred percent mystical. I conclude by quoting and commenting on these few sentences. The separation between the thinker and the thought, or the eye and the object of sight, occurs in language, not in the event itself. Thus the idea of the personal self or subject in terms of a thinker of the thought among others. The subject is not a thing in the world and the thought one has of it does not correspond to a fact (Atkinson, 2009: 133). The difference between seeing the object together with and in space and time is a matter of seeing the world from either the outside or the inside. From the outside it is to see the world like one’s eye in its visual field (NB:73). To see the object sub species aeternitatis from the outside is to see it from outside the world and language. Being outside language there is nothing that can be said about an object. Wittgenstein states that there are things that can’t be put into words. These things show themselves. They are the mystical. (TLP: 6.522) These things “don’t point to another world outside the world, but show themselves as the mystical.” The metaphysical interpretation of the Tractatus has been forcefully criticized by a host of scholars including Atkinson. The mystical is what one finds immediately in reality. What “can’t beput into words shows itself as the world that is and what shows itself must be coordinated with the solipsistic self in the moment of experience. This moment, I have argued, is to fell the world as a limited whole” (Atkinson, 2009: 69). We need not advocate metaphysical interpretation and can remain contended with the fact that there is something that science can’t handle, there is a joy of the spirit available to a happy man who has consented to be nothing, the world is full of beauty, there are no problems and man’s hunger for higher things can be quenched. It hardly matters where we precisely locate transcendence that gives meaning to life and grounds ethics and aesthetics – beyond the world or immanently within its depths. Interpretations, theological and metaphysical ultimately can differ but what matters is what Wittgenstein achieves. He achieves the similar end that religions and mysticisms across traditions have sought. He gets the riddle dissolved and puts thoughts or philosophy to peace and that is the end of philosophical/mystical quest. Atkinson, James R., The Mystical in Wittgenstein’s Early Writings, Routledge, London, 2009. Qaisar, Shahzad, Iqbal and KhawjaGhulamFarid on Experiencing God, Iqbal Academy, Lahore 2002. Sontag, Fredrick, Wittgenstein and the Mystical: Philosophy as an Ascetic Practice, Oxford University Press, 2000. Weil, Simone, 1970, First and Last Notebooks, tr. Richard Reese, Oxford University Press, New York. (Here in the text referred to as F). ……. ………..Waiting on God, 1951, tr. Emma Caruford, Putnam, New York, 1951 (referred as WG). …………….. The Notebooks of Simone Weil, 1956, tr. Arthur F. Mills, 2 volumes, Putnam (referred as N). Wittgenstein, Ludwig, Notebooks, 1914-16, 2nd Edition Ed. Wright and Ascombe. Wittgenstein, Ludwig, Culture and Value, G.H. von Wright (ed. ), P. Winch (trans. ), Basil Blackwell, Oxford, 1980. Wittgenstein, Ludwig,TractatusLogico-Philosophicus,D.F. Pears and B.F. McGuinness (trans. ), New York: Humanities Press, 1961.